Light over Snowdon. Fujifilm X-T2 + 50-140mm f/2.8 @ 140mm. f/16. 1/70. ISO 200. This review (of sorts) has three disclaimers. I know, that’s a lot of disclaiming, but judging by the reaction to the one tweet I made in relation to the X-T2 being my possession after it’s announcement, it’s needed. This is not a nuts and bolts technical review. I’m sure there are plenty of scientific comparisons full of tech mumble jumble that means something to someone, but that’s really not how I operate. So, if you’re happy to read the witterings and anecdotal evidence (with pictures, cause, that’s kind of the point) of this girl’s experience of using the X-T2 over the last couple of months, then stick with me, we’re going on a journey of how I relate to a camera. I have no official affiliation with Fujifilm, I’m not an X-Photographer, I’m not on their payroll etc. However, I have a lot of love and respect for members of the Fujifilm family, especially those who have encouraged me, and I make no apologies for that. I did however agree to this of my own accord, and have rather enjoyed the experience (other than the constant fear of accidentally failing to remove EXIF data from an image before I posted it, or having someone actually question me when I insisted I was using an X-T1). I use, and have used, two other systems over the last couple of months as well, including my trusty, and frankly battered Canon 5D Mk III and also the Olympus OM-D EM-5 MK II. There will be some comparisons between the Fujifilm and the Canon, but not with the Olympus. Why, I hear you ask? Merely because I’m worked with my Canon for years and I’ve barely gotten to know the Olympus, so it just wouldn’t be fair (I also have a lot of love for the people at Olympus who have shown belief in me). Essentially I love everyone and I use too many camera systems. Damn, that’s pretty much my epitaph right there. I tried and failed to have a successful professional relationship with the X-T1. It was factious and I never got the results I wanted (but I’ll talk more about that). Okay, still with me? Super. Gold star for you! So, here it goes. Now that's out the way, let's begin. Over the years I’ve had an on-again off-again relationship with Fujifilm. I had a lot of affection for the rather lovely X-Pro1 that I bought on a bit of a whim without even testing it out, and when asked I’ll still maintain that the 35mm f/1.4 is one of the nicest lenses I’ve had the opportunity to use (Russ, I can see your face right now). However, after some fluke accident in my camera bag, the screen of my X-Pro1 imploded, and I ended up replacing it with the X-T1, which I perceived to be a step up, but ultimately ended as a step sideways and down a little bit. The biggest issue I had with the X-T1 was it’s colour rendition and those infamous RAW files. Time and again in the field I felt let down. The camera seemed utterly unable to capture the dynamic range I was used to achieving with my Canon 5D Mk III, and what started as an exercise in reducing kit size turned into me carrying two systems and looking much like a kid on my first day of school (I’m 5’1). No matter how much I tried, I couldn’t make the RAW files work for me. They were smudgy. It’s the only word I can think to describe them. Iridient helped to a certain extent, but it made my workflow excruciating and more often than not the final results look over sharpened. So, why not work with just JPGs I hear you say? We’ve clearly never met. You know those photographers who are all like, “editing is just such a chore”, I’m the reverse. Give me an evening, a glass (bottle) of wine, and 2 photos to edit, and I’m a happy bunny. Editing is a extension of creativity, and no matter how good the JPGs might have been out of the X-T1, they weren’t good enough for me to play with like I would with a RAW file. 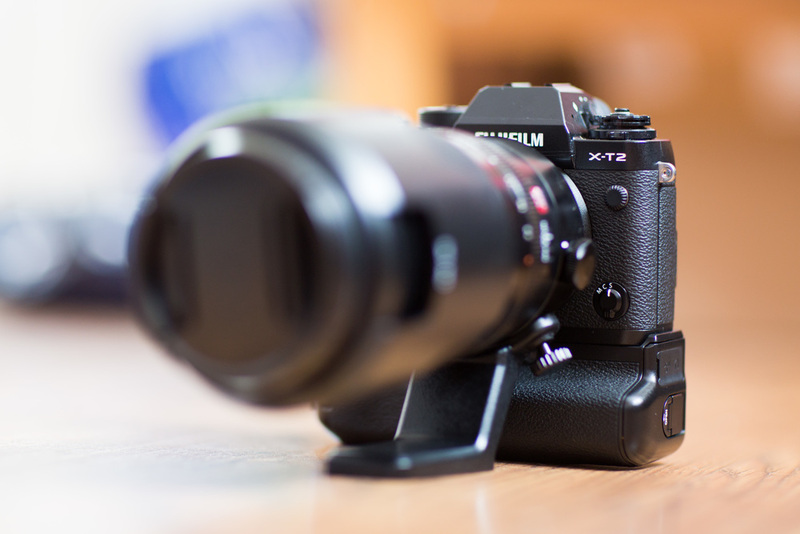 But anyway, enough about the X-T1 I hear you cry (or mutter if you’re British). Now, I haven't had experience with the X-Pro2, but I'm guessing with the same sensor, the image quality is similar. At the risk of this becoming verbose, I want to run through the things that matter to me when it comes to a new camera and how the X-T2 performed. Moving swiftly on to the first bombshell of this blog (apart from the one where you all found out I was 5’1), I only worked with JPGs from the X-T2… There are logistical reasons for this. There is currently no RAW support in Lightroom, and perhaps it’s hackable, but I certainly didn’t have the time or the knowhow to work this out. So this means everything I write has a big “BUT” attached to it, and this is really part one of a two part review. If the X-T2’s RAW files are afflicted in the same way as the X-T1’s, I’ll be pretty gutted. (Below are two examples of entirely unedited JPGs from a trip to the Dinorwig Slate Quarry in North Wales). Fujifilm X-T2 + 50-140mm @ 94.5mm. f/8. 1/125. ISO 250. Fujifilm X-T2 + 50-140mm @ 106mm. f/13. 1/45. ISO 200. The second bombshell? I’m sort of in love with the JPG files from the X-T2. They blow my Canon JPGs out the water, heck out of the universe. I used the X-T2 is every single different environment I was able to. This ranged from traditional landscape photography, to commercial shoots, set photography, events and even weddings. I shot with two lenses from the line up, the 16-55mm f/2.8 and the 50-140mm f/2.8. I appreciated them both, but the 50-140mm was by far my preferred piece of glass (it is remarkable). Alas, I had no opportunity to try out any of the primes (despite standing in Jessops on numerous occasions pondering whether I should buy the 23mm 1.4). Due to the sensor size, the JPGs come out of camera 6000x4000 pxs and around 10mb in size. For events, when 10mb is more than sufficient with regard to file size, I found that this was extremely useful with regard to streamlining my workflow. Additionally, I found that the images themselves did not need much editing; the colour rendition was usually spot on, the contrast was good and the accuracy of the autofocus was marvellous. Rarely were any of my shots out of focus. Here are some examples from several events I shot that required minimal editing. Fujifilm X-T2 + 50-140mm @ 140mm. f/2.8. 1/120. ISO 800. Fujifilm X-T2 + 50-140mm @ 140mm. f/2.8. 1/220. ISO 400. Fujifilm X-T2 + 50-140mm @ 50mm. f/2.8. 1/160. ISO 800. I think during this testing phase, the image quality was the main thing that consistently blew me away. I think the camera seemed to perform at it's best when I was shooting small apertures on the longer lens, but I also had enough time to try it in some serious landscape environments. I very much enjoyed the times I was able to shoot outdoors, and I think it's a testament to the system that several images I've shot are in my Landscape Photographer of the Year entry pool. That would have never happened with the X-T1. This is obviously very related to image quality, and the beautiful thing about usually shooting full frame with my Canon is that I can push the ISO when needed, sometimes up to 6000 without completely compromising the integrity of an image. Now, I haven't pushed the X-T2 quite to those extremes, but I've happily used it ISO 2000 without issue. This, again, would have never happened with the X-T1 where noise was obviously visible above 800 as far as I was concerned. Below is a hi-res unedited image shot at ISO 2000 and as you can see the noise is minimal (although I would like to add a disclaimer that this was shot on a pre-production model). Fujifilm X-T2 + 50-140mm @ 115mm. f/2.8. 1/80. ISO 2000. 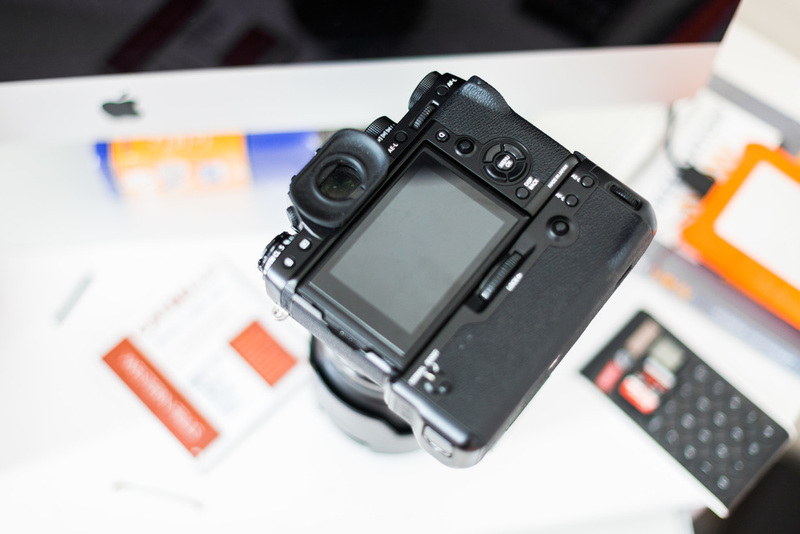 Anybody who has used a Fujifilm camera will be familiar with it's interface, not much has changed there (if anything). Some menus are still far too complicated, although this is something I could levy on each camera system I've used. I often have the self timer on when I'm shooting on a tripod and it's a minor inconvenience to dig through the menu to find said option. However, the joystick to choose focal point is a welcome addition, and makes shooting on the fly easier. I would have loved a more prominent MF button, but the same small dial remains. Other than that, I was on familiar ground and still appreciate the ISO and exposure compensation dial on the top of the body. Now bear in mind that I was testing a pre-production model, so this is likely not wholly indicative of the final build quality, but I did lose the ISO dial somewhere (the eagle eyed amongst you will have noticed that for the images of the camera). I was a bit disappointed that such a integral part could just drop off with normal use, but hopefully this is a one off. 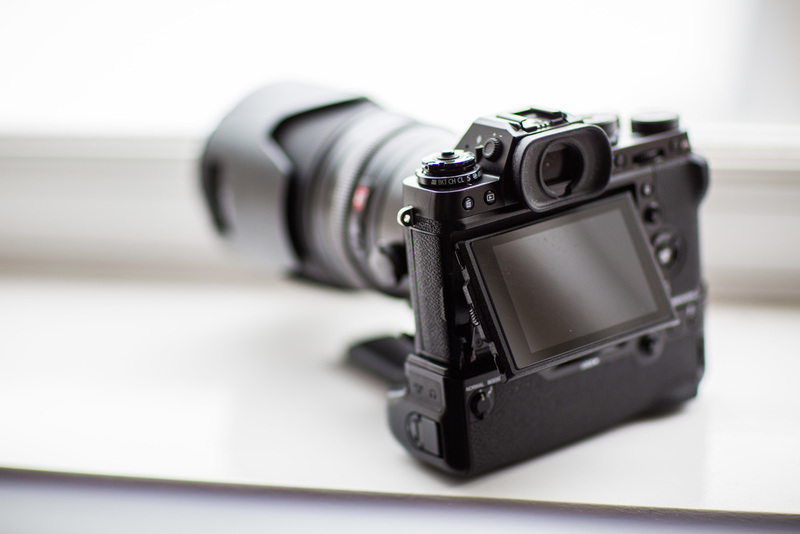 Other than this, I found the overall build quality excellent, and didn't once lose the eyecup, which is some sort of miracle as I lost the X-T1's eye cup about 5 times and I still get e-mails from Fujifilm telling me they have replacements in stock. Call me a heretic, but I love an articulating screen. Some might see them as a gimmick, but I find them very useful, saving me from that eternal photographer move; the macro dive (which covers a multitude of low angles). The X-T2's screen articulates in more than one way, which kind of really does feel like a 'shiny useless thing' as I rarely used it at a weird angle, but I can see that some might have use for this. The battery pack however is less gimmick and more functional, and makes it feel like a real camera (as opposed to a fictional one). There is a substance to it, and as the Fujifilm batteries still cannot match the absolute power of the big DSLRs, having three on the go at once is somewhat essential... If you need to shoot continuously, you can pop it into 'boost' mode and go crazy, although it would have been much more fun if they'd called it 'Stratospheric' or 'Bat Out of Hell'. Having a 'portrait' button at the top of the grip is very useful, although hardly revolutionary, but being able to charge the batteries through the grip is pretty cool. Apparently there are 169 phase detection points which sort of feels like someone trying to blind me with numbers. Of those 169, I probably used about 4, and well, for the most part they focused fast and accurately. However, the X-T2 suffers from the same issues as the X-T1 in that it struggles in extremes, either bright or dark. I've experienced it searching in both, and sometimes getting completely stuck exposing at 1/8000 outdoors. This was eased by the firmware updates, so I imagine it'll be ironed out when the retail product is released. Huzzah for this! Anyone who shoots professionally knows that this is absolutely essential. Being able to save to two SD cards simultaneously elevates this camera further into the 'big boy' league. It should be noted that like many cameras being released, the X-T2 shoots 4K video. I didn't have the chance to test this out. The same applies to the new flash capabilities. I rarely shoot with strobes, so this is out of my remit. I'm not going to lie, I'm impressed, much more impressed that I thought I would be. I enjoyed shooting with the X-T2 and the results didn't frustrate me in the same way as previous models have. The image quality and IQ are very nice, the JPGs are superb, and I'm more than happy with the 24 megapixel sensor's performance, even at high ISOs. I think anyone who is already familiar with the Fujifilm line up will find this a welcome addition to the range, and I would certainly see it as a step up from the X-T1. It's comfortably slotted into my kit as a welcomed companion to my other cameras, and it's certainly added something special. Will it replace my Canon as my workhorse? Hard to say, that all hinges on several factors, but the most pressing question mark is over those RAW files... So, let's just say that right now, yeah, I'm impressed, and I'm not afraid to admit I'm pleasantly surprised. However, landscape photography is all about those RAW files, so until I've had a chance to fully explore their capabilities and weaknesses, this blog remains part one of a two part exploration. Thanks for sticking with me, I'll leave you with some examples of images I've shot with the X-T2 over the last few months.